The Mental Health Commission of Canada offers an excellent Mental Health First Aid (MHFA) training. This past weekend I was certified and found the training exceptionally helpful. Participants ranged from police officers to teachers, to students, and consultants. The most common comment echoed in the room was that all supervisors should complete this training. Many supervisors do not know how to respond to and support employees who may have a mental health issue. When you think of the responsibilities of many jobs in our society, particularly safety-sensitive roles like law enforcement, physicians, long-haul truck drivers, pharmacists, etc., it is shocking that more attention is not given to mental health, and that mental health first aid is not mandatory, and that for certain roles that mandatory regular psychological assessments are not required. tToday is January 30th Bell’s Let’s Talk – Mental Health Day. This day is an excellent opportunity for employers to open up the conversation to increase awareness of Mental Health issues, reduce the stigma associated with them, and increase awareness of how to best respond to mental health in the workplace. It is also a good day to communicate proactive wellness information about how employees can maintain their mental health and reduce stress. In addition, for every text sent on January 30th, Bell also donates $0.05 to mental health initiatives. Every year, at least one in five Canadians will experience a mental health problem. Twenty percent (20%) of all sick leaves from work are related to mental health, and those individuals with a mental health disorder are twice more likely to also have problematic substance use compared to the general population (Mental Health Commission of Canada, 2019). A Mental Health Commission of Canada study estimates mental health problems cost the economy at least $50B in the cost of direct services and lost productivity in 2011. This is equivalent to 2.8 of Canada’s 2011 gross domestic product. MHFA has five basic actions (Source: Mental Health Commission of Canada). Steps two to five do not need to occur in sequential order but need to happen in a way that helps the first aider establish trust and rapport with the other person. It is critical though that the first aider take appropriate action and arrange for professional help if someone is at risk of harming themselves or someone else, even if the person does not want help at that time. One of the primary takeaways was how to respond to and support to an individual that you believe may have a mental health issue. MHFA shows people to recognize the symptoms of mental health problems, provide initial help, and guide the person towards appropriate professional help. The first step is to assess the risk for harm or suicide in the individual with a mental health issue. This is important for the first aider to ensure their own personal safety, and to ask this to assess risk so the situation can be escalated to the Police or other professional mental health support, if needed. This means adopting an attitude that is non-judging and listening (verbally and non-verbally) in a way that allows the listener to feel comfortable and able to talk freely. This makes the person feel that they do have a real medical condition and that there are effective treatments and options for them to access help. It is important as it gives them hope and optimism. Encourage the person to get appropriate professional help. This involves helping the individual identify the most appropriate professional service for their mental health problem. This involves talking through ways the person may help themselves through different self-help strategies or by reaching out to family, friends, and other supports. For every text message sent by Bell Canada, Bell Aliant and Bell MTS customers, Bell will donate 5¢ towards mental health initiatives. *By a Bell, Bell MTS or Bell Aliant customer only, at no cost to participants beyond what they would normally pay their service provider for online or phone access. There are valuable resources on their website for employers, teachers, students including stickers, banners, videos, and social media templates to get the conversation started. 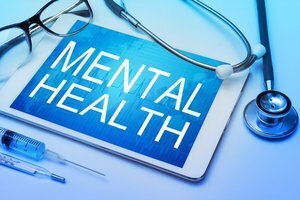 Mental Health Works supports organizations in their duty to accommodate employees experiencing mental disabilities and to help employers respond immediately and appropriately when employees experience mental health problems. The Mental Health Commission of Canada offers resources for the workplace, peer support, youth around mental health. The Centre for Addiction and Mental Health is an addiction and mental health teaching hospital in Toronto. In the “About Addiction and Mental Health” section of their website there are resources on anxiety-related disorders, other disorders, and substance use.